The new site will be where readers go to check out my books and to link between them. It’s a way to keep abreast of Flaherty book news, and also to bring the books to your book club (or write a book report about The Night of One Hundred Thieves). All the cool authors have them. Now, for the Starving Artist-style (rather one-sided) discussion. Do I need two websites? Do I need a website at all? Well, we have talked about this before. And I have pointed you to more than a few indie-publishing books that would say that, yes, you should have a professional and as-large-as-you-can-handle space carved out for you in the internet. Let’s remind ourselves why. Basically, we want to sell books (whether we are a publisher or an author. It’s in all of our interests). Books sell on the internet, these days. And, more importantly, readers are on the internet, these days. Even if they purchase from a brick-and-mortar, they are likely to do their research online, be advertised to online, and/or join reading communities online. Therefore, if you want to sell more books (and make a living and enable yourself to be a career writer or publisher), you need a presence online. It is called a platform. This could technically begin and end with your book listing, especially on some of the wider-reaching book distributors, advertisers, and/or communities. Pop up on Amazon and Goodreads and you have a lot of ground covered. However, there are two more things to consider: branding and webbing. Modern sellers of absolutely anything are advised to create a brand that people identify, enjoy, trust, and are loyal to. There is very little ability to do that with just a sales listing. Modern authors are strongly encouraged to expand their platform with social media, because it is the way that modern readers are finding books and authors (not so much book tours or bookstore fronts). It is also free, or almost-free. A listing in the New York Times or a Kirkus review is NOT free or anywhere close to free. For the $18 price of a domain name, you can create a virtual universe for your brand: you. And with the modern tools of blog creation (WordPress, Blogger, Tumblr, Weebly…), anyone can do it. Or, you could skip the blog and head to Facebook, Instagram, Twitter, Pinterest, YouTube, Reddit, Buzzfeed, Slideshare, or About.Me (or others). Or, you could create your own combination of a few social media tools that interest you and fit with your time investment and brand. The point is, you want readers to identify you, to enjoy you, to trust you, and to become loyal to you. That’s going to take some work, some maintenance, and some professionalism. By “webbing,” I mean to indicate the modern idea of putting little tendrils of information out into various directions on the internet. This activity increases the touch-points a reader can stumble upon out in the webiverse, therefore creating a sort of virtual web to catch them. Once they are snagged on a line of the web, they are drawn inward by your links, eventually to the very center of this web: through your brand, to your books. It’s a simple idea, and it must work to some extent. The question for each of us remains, which social media are working best, how are they best utilized, and how much time does an author or publisher need to invest to their maintenance? The answer to all three of these questions is not only a little ephemeral, but also not static. Change with the times. Keep up to date in your field. Be fluid. And once you’ve done your best, don’t worry about it. Still, why on earth would an author need two websites? I like to blog. So I have a blog that fits my brand and my job, about writing, reading/books, and indie-publishing. This is, I think, one of the cornerstones for my author platform. On the other hand, my books are not The Starving Artist. The Starving Artist is just a great way for me to connect with people to build that identification, enjoyment, trust, and loyalty. What we bloggers are warned against it creating a blog for shameless sales. Blogs work best when they are thematic and when they add something to the reader’s life. (Oh, this phrase is so overused right now.) In general, blog readers will not flock to your (or my) blog if it is a steady stream of advertisements for your books or updates on your books (or randomness. Note that you could potentially create a successful writing- or publishing-process themed blog). Blog readers are looking for enjoyment and enrichment (and for consistency and quality). 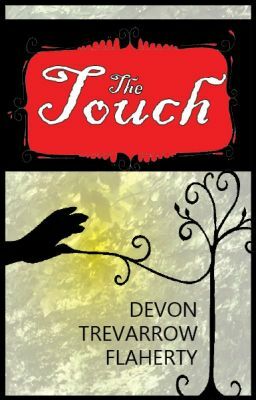 On the other hand, I feel the need to have a space somewhere where an interested reader or potential reader can connect with information about Devon Trevarrow Flaherty and her books. I don’t think this is best served with a writing, reading, and publishing blog called The Starving Artist. I like the idea of having an engaging and informative, authoritative website for people who like or are considering buying my books. It is true that all the cool authors have them. (Stephen King. J K Rowling. Amy Tan. Barbara Kingsolver…) As an author or publisher, you could always leave your information to what is listed on your Amazon Author page and on Google and Wikipedia (if you get that far). Call me controlling, but I like the idea of having the official page. And one with breadth, at that. Nowhere else on the internet is there a “Making of the Cover” and a book club discussion guide, etc. I would like to be loaded and ready for the surge of future fans. I also like throwing that additional tendril out onto the internet. So there it is, folks. An apologetic for the new site. It’s part of my master plan to become a career author. Many more schemes on the way, because, as we know, this is an absorbing and arduous work.